European made 15% Natural, 85% Syn…. 100% Pure Latex Rubber with NO additives or non-latex FILLERS used. Mono Zone Dunlop latex design assures consistent feel and compression throughout. 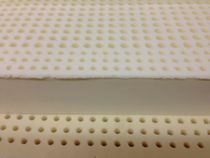 Available in Firm #36 ILD but when compared to Talalay latex feels more like #40 ILD. 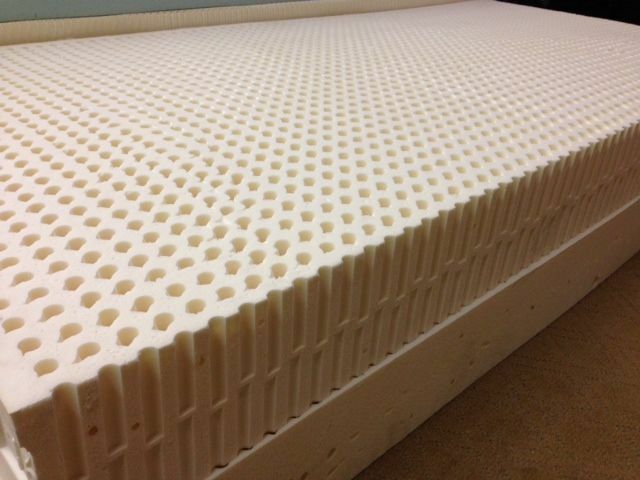 Medium #30 but feels like #34 Talalay, and Soft #24 and feels like #28 Talalay. … also same feature as all of our other Latexco products… Dust Mite Resistant, Anti-fungal, Anti-microbial, ECO friendly, bio-degradable, etc. 6" thick. 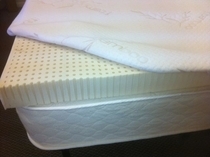 You will need 2 TwinXL cores if you are designing a standard king size mattress. Shipped in the raw. No returns or exchanges on this item.